Albert Cooke was my maternal Grandmother’s brother. 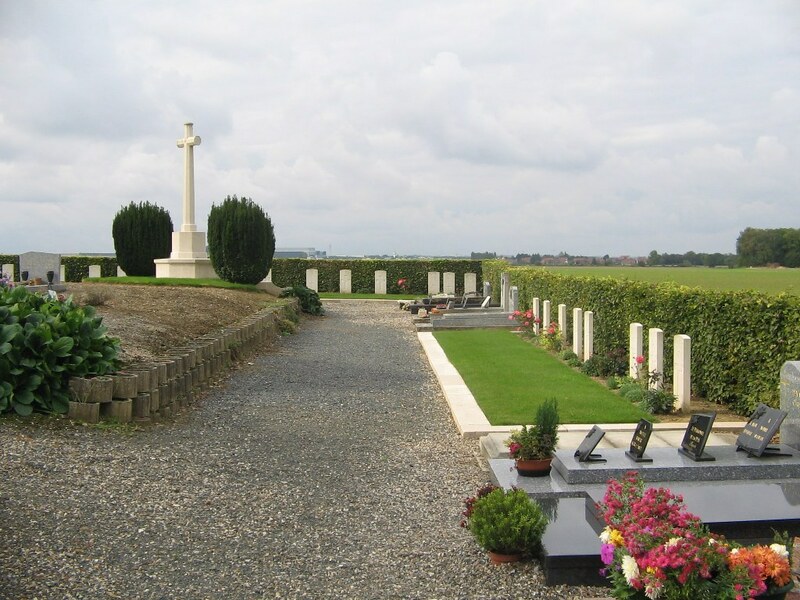 He was born on 8th March 1898 at 39 Banstead Street Peckham Camberwell London.He saw service in the First World War as a driver with the Royal Horse Artillery & the Royal Field Artillery, Service number: 147466. On 11th May 1918, aged 19, he was killed in action in France and is buried in Blangy-Tronville Communal Cemetery (Somme), grave number 39. He was the son of Edward Lewis Cooke and Mary Ann Cooke nee Fells. Edward Lewis and Mary Ann moved to Billericay for Edward’s health. They lived at 36 High Street Billericay – there is a picture of Mary Ann outside the house (approx. where Argos is today). Also there is a picture of Mary Ann at the WW1 memorial with a lot of other people – likely to be its ‘inauguration’ In 1901 he is living at 39 Banstead Street Peckham, Camberwell, London. By 1911 the family had moved to 86 Tappesfield Road, Nunhead S E London He is living with his parents and some of his brothers and sister (he had 7 brothers and 1 sister although not all of his brothers survived to adulthood. He is listed on the census as being at school. Albert’s brother Edward George John Cooke (named after his father and both grandfathers!) enlisted in the army at Woolwich (the West Riding Regiment). 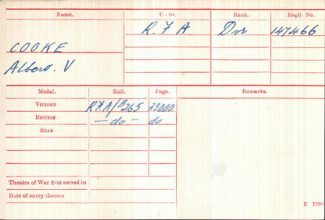 His service record shows his age as 18 and 3 months but I believe he was only 16 as I have a birth day of 20th Jun 1885. It seems he spent more than 5 years in the East Indies as part of his service. 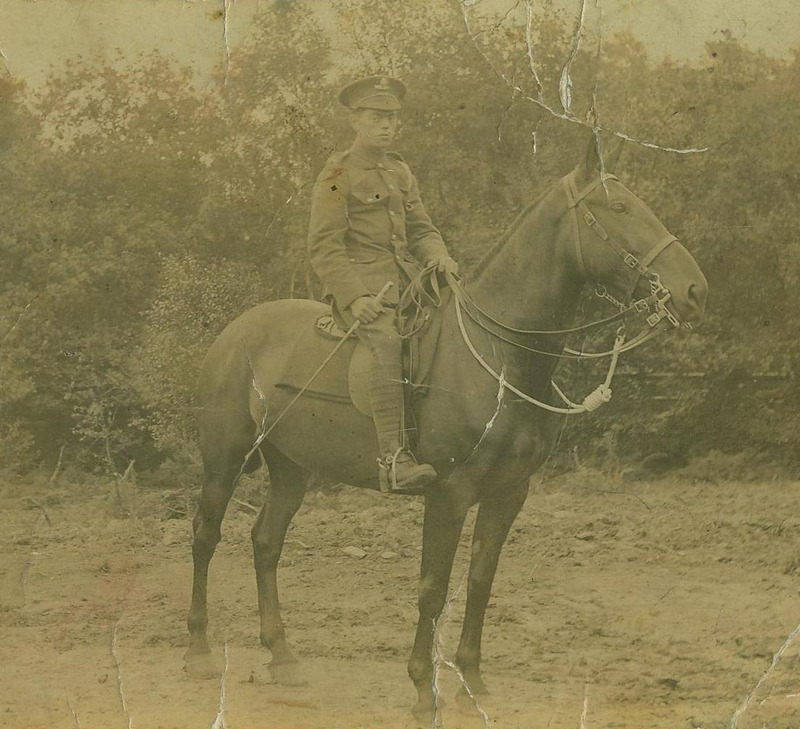 He then left the army in Aug 1913. His service record shows under ‘passed classes of instruction’ ‘mounted infantry’ 15th January 1905. This is during his time in the East Indies but we cannot read the place name. He is shown as becoming a plasterer/decorator when he was transferred to the reserve. 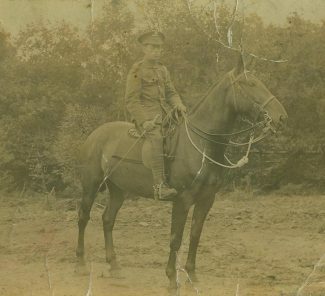 He appears to have then rejoined the army in September 1914 and fought in France where he received gunshot wounds in 1917.